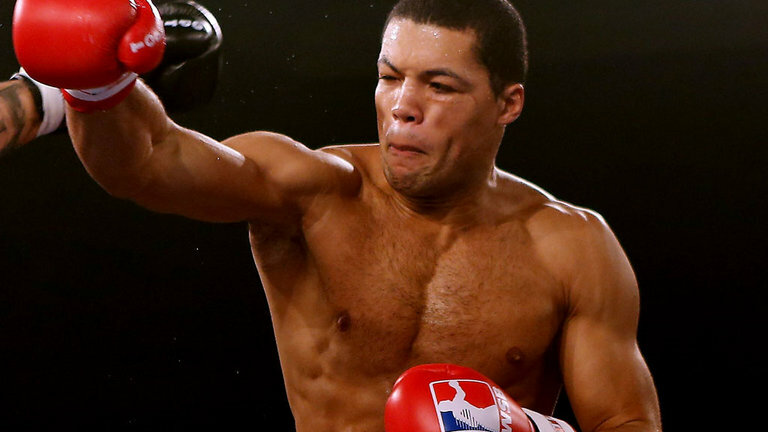 There has been a lot going on with rising heavyweight prospect Joe Joyce. Despite an impressive amateur background, where he won gold at the 2014 Commonwealth Games, amongst other accolades, Joyce was forced to get his career on the fast track, as he turned professional at 32 years old. Joyce made his professional in October of 2017 with a TKO victory over Ian Lewison and he has kept busy thus far, improving to 5-0 with five knockouts. In my opinion, it was eye-opening to Joyce dismantle fringe contender Lenroy Thomas in just two rounds in only his fourth fight. Joyce definitely means business. Joyce is promoted by Hayemaker Ringstar and for the early portion of his career he trained under the eye of esteemed Cuban trainer Ismael Salas. It was recently revealed that Salas and Joyce parted ways, but there doesn’t seem to be any bad blood between the two men. Salas looks like he is semi-retired at the moment, on the heels of him training such fighters as former champions Jorge Linares, Rances Barthelemy, and contender Yordenis Ugas. Joyce took to his social media handles to let the world know of his big switch, as he is now presently training with highly-regarded Abel Sanchez inside of his Summit Gym in Big Bear, California. “ I am proud to announce my new trainer and future Hall of famer Abel Sanchez. I believe with Abel in my corner, we will be ready for any challenge! I want to win World titles and that’s what we plan to do!” Joyce stated. In the following days, Joyce could be seen posting several updates to his Instagram with photos of him and his new training partners at the gym, including middleweight champion Gennady Golovkin. Pairing Joyce with Sanchez should be very interesting, as Sanchez is known well for training power punchers who march forward and stalk their foes. Joyce is a very good-sized heavyweight who has thus far been showing plenty of power, so the ceiling their are aiming for should be very high. So confident is Joyce that he even recently mentioned the possibility of facing off with former WBA interim champion Luis Ortiz. Presently the southpaw Cuban Ortiz stands as one of the most dangerous men in the sport and he is coming off of a second round blowout over Razvan Cojanu. One fight prior, Ortiz showed his mettle by engaging in an epic clash with Deontay Wilder before being stopped late in the contest. Joyce knows that he must apply pressure to get the fight and he is willing to do just that. It would definitely make for an interesting matchup of styles. Ortiz has the edge in experience, but both men can punch. Perhaps this is the fight that will really tell us about who Joe Joyce is as a fighter.